Whenever we appeal to stop the destructive Rampal project and ORION coal based power plant, to safeguard our great Sundarbans, natural habitat of thousands of lives, whenever we ask to cancel Fulbari open pit project which damages a vast agricultural land and a large civilization, whenever we protest against real estate developments which is damaging our rive-ways by encroaching or by building dams, the government officials or so called pro-company specialists claim, in unison, that for the sake of development we will need to inflict some harm to our country. 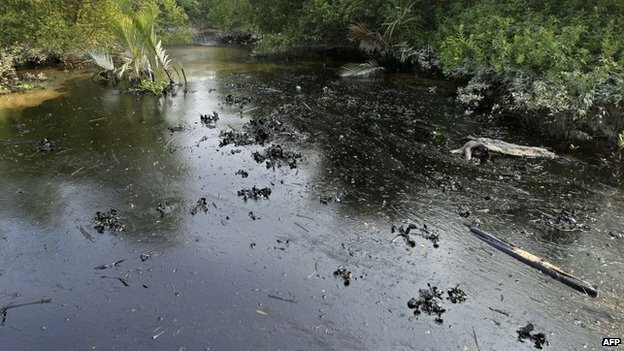 The oil spills in the Sundarbans is a only tiny illustration of such a ‘small harm’. When and how those who are determined to cause much ‘bigger harm’ for ‘development’ would ever realise? On 9 December 350 thousands liters oil was spilled on shalla river of the Sundarbans when an oil tanker capsized. Oil spread around Joymoni, Nondonala, Adarmanik, Migogami regions. The vehicle was carrying furnace oil for a fuel based power plant. Due to high and low tides the oil has now spread to about 60 km area. A rescue ship was sent on 11 December, and the tanker has been pulled out of the river. But it is evident that there are no strategies, no preparedness to response to this level of catastrophe. The authorities seem at a loss; there are no efforts to remove the spillages, yet, causing irreparable damage. Earlier, on 12 and 30 September two other vessels carrying raw materials for cement capsized damaging the waterway. What has happened to any investigation on those incidents? We haven’t seen any government reports on them; rather, the government is busy suppressing reports on such incidents. That is why government has not taken steps after those incidents. How do oil containers get permits to pass through the Sundarbans? They get them for ‘development’. The original river route for goods to be shipped from the Mongla Port is through Mongla-Gashiali channel via Bolleshor river, far away from the Sundarbans. That route is now closed, due to enthusiasms of short sighted developers and their ‘development programs’. One such program, from the Water Development Board, builds dams and polders indiscriminately. These dams obstruct rive-ways and create lands by filling up rivers with huge amount of soil. These are built in the name of ‘development’, with foreign loans, with public money, with recommendation from specialist consultants and supported by a strong enthusiasm from local real estate developers. No one consider the consequences. ‘Some damage, of course, should be endured for development’ – the view, the message is used to sweep wrongful deeds. In addition, there is unauthorised shrimp farming that closed many canals. No attention to consequences; only considerations are individual gains and income in foreign currency. The river-way has been closed for about 10 years. In the beginning goods ships operated illegally through the Sundarbans. In 2011, BIWTA issued formal approval. While initially 20 to 25 vassals had run daily, now over 150 are operating. Anyone would realise that even without any accidents these carriers are polluting the ecosystem, and injuring wildlife. The recent accident has not only caused great havoc to animals and rare creatures living in the water, but it has also seriously impacted the lively-hood of over one hundred thousand people. We will hear, for years, the long term (grave) affect on the Sundarbans. The national committee to preserve oil-gas-minerals and electricity-ports, in the last few years has been informing us the significance of Sundarbans. It is the largest mangrove forest in the world, a great habitat for a vastly diverse fauna and a solid shield against natural disasters. We pleaded, protested, screamed, demonstrated, conducted long marches and organised civic meetings. Scientists have asked for ‘special sensitivity’ to maintain sustainability of an incredibly bio-diverse ecosystem. The UNESCO has already expressed its concerns over a range of profit-seeking projects including the Rampal project in the Sundarbans. We have asked the government to cease all harmful projects to protect the Sundarbans. Yet, the government, instead of taking any steps to protect, remained insensitive to the risks; permitted big vessels to operate in the waterways near and thorough the Sundarbans. The government is building a number of coal-based power plants; under different guises numerous business organisations are being allowed to grab lands. Government officials are involved. The World Bank and USAID are funding these ‘development projects’ which would legitimise the grab and would camouflage our doomed future with artificial-glitters. The PM has said that the government will do everything to protect the Sundarbans in an international tiger conference and after the accident. On the other hand, she has inaugurated the Sundarbans-killing Rampal power plant. The Indian NTPC, breaking its own country’s law, is in the driver’s seat here. Further, a local company Orion has been permitted to build another coal based power plant. Various government departments are busy at underwriting activities to destroy the Sundarbans. Defying all logic and requests the government is continuing the development of the coal based power plant. As though they are insensitive dumb, local and international consultants continue to state: ‘the Sundarbans won’t be harmed’, ‘we will use super critical technology’, ‘coal-filled ships will be fully covered’, ‘the chimney will be very tall’, ‘natural disasters will wash away the pollution’. The accident, however, clearly demonstrates how exposed, endangered and defenseless this World Heritage listed site is. How hazardous and troubling to let oil tankers through an immensely important site of Bangladesh, albeit under enormous pressure from the ‘developers’, can be. An investigation committee is formed; not much is hoped. Still, we all have to demand the government take all necessary actions to counter this damage. At the same time there has to be concerted national protests and efforts to immediately stop operations of coal based power plants, including activities of NTPC and ORION. We have to strengthen the appeal to cease the festival of land grabs in the Sunderbans under government sponsorship. Last year Dhaka-Sundarbans long march ended in Digiraj. These issues were raised there for immediate action. It was also demanded that a set of principles are developed, not only for protection but also for regeneration of the Sundadbans. We have to fight the aggression ­- to destroy the Sundarbans – in the name of development. Our existence is threatened, if the Sundarbans extinct. To borrow a quote from the Latin American indigenous people, “As we pollute our water, air, land and forests in quest for profits, soon we will have nothing other than the money left. Only then, we may realize that we can’t live on money alone”. To live we need clean water, air, food; for our existence we need forests, biodiversity. Human, cannot survive by launching so many life-ending initiatives. Anu Muhummad: an economist and a professor, Jahangirnagar University.